The special occasion of a 100th birthday is an important milestone that warrants a celebration. The celebration or party that is thrown in honor of the birthday individual is preceded by an invitation, which will set the tone for the event. 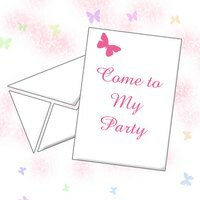 The invitation's wording and design should match the feel and theme of the party itself. It should also make clear to the recipients the reason for the party, with special emphasis on the important birthday milestone. Title the invitation with a statement that summarizes the occasion for the party. For example, "Join us in celebrating Mark's century of life!" Relay the pertinent party details, making further note or reference to the reason for the party. For example, "Please join us for refreshments, dancing and reminiscing on Mark's 100 years of birthdays at the Johnson Banquet Hall in Manchester, Connecticut. The cocktail hour begins at 5:00 p.m. with dinner being served exactly 100 minutes later, at 6:40 p.m."
Add a note relating to RSVPs. For example, "We expect many old and new friends that have been a part of Mark's 100 years, so a timely RSVP is greatly appreciated. Please reply by March 20 to the email address below." Disclose information relating to any games or activities at the party. For example, "Please bring a written anecdote, story or memory that you have of Mark for inclusion in a birthday scrapbook." You could also write, "Please email me one fun fact you have about Mark for use in a game during the party." Finish with an inspirational quote regarding age or a favorite quote or saying from the birthday individual. For example, "As Mark would say, 'Let's get going and let the good times roll!'"